Thank you for your interest in the Symposium on Technology-Assisted Meditation! Your participation in this symposium will provide a space to share your work and offer great opportunities for connections with other innovators in the field. We are grateful for your interest in being involved and supporting this event. With your support, our Center for Mindfulness and Compassion can continue to explore avenues for bringing together individuals and organizations, as well as foster awareness about mindfulness and compassion-based practices related to technology innovations, research outcomes, and ethics and safety. In order to process the many inquiries from potential partners, we ask that you complete the below form. Our team will review the form and be in contact. For details on the Symposium, please visit www.chacmc.org/technology. The Cambridge Health Alliance Center for Mindfulness and Compassion is hosting the Symposium on Technology-Assisted Meditation at Harvard University Science Center on Saturday, September 29, 2018 from 8:30 - 5:00 pm.  Please contact Bridge Kiley, Center Coordinator, at bkiley@challiance.org with any questions. Thank you! Please describe space, outlet/electricity and any other supply needs. We will provide one standard 6 ft. table in the Harvard Science Center for exhibiting, unless otherwise specified in your needs. Thank you! Our team will review the form and be in contact.